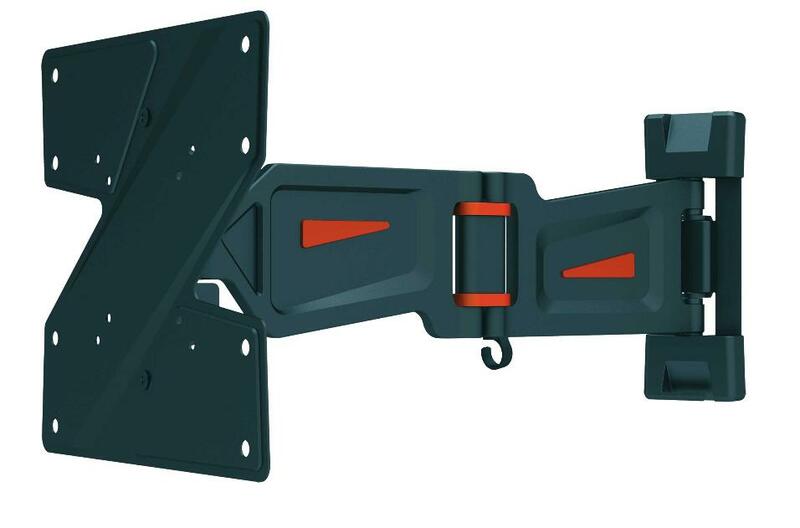 3d articulated wall mount for small monitors. Safe and functional support in black color. It has double jointed arm section to ensure maximum mobility. The arm is extendable up to 425 mm. Vesa 200x200mm maximum. Designed for monitors up to 37 " and 30kg.